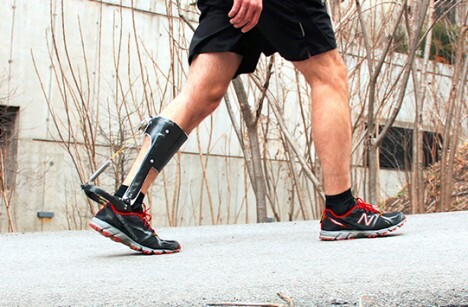 A little like Iron Man armor but much lighter and free from external power sources, these ankle-enhancing add-ons represent a step in a new direction toward practical and easily removable exoskeletons. “Instead of adding an energy source to allow your muscles to expend less energy themselves, you’re just building a system that uses less energy as a whole. But the challenge is what drew us to the problem. 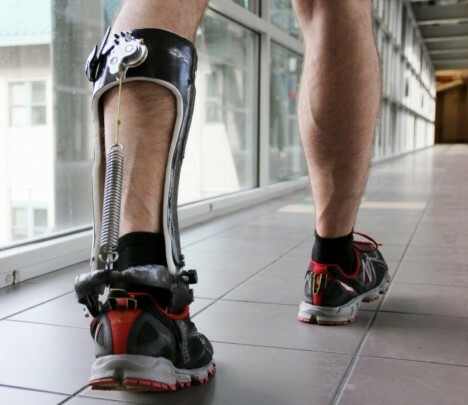 After 7 million years of evolution as bipeds and some tens of thousands of hours of practice throughout a lifetime, is it even possible to reduce the energy of walking?” It turns out that it is, and for far cheaper than what more high-tech mechanical suits cost. 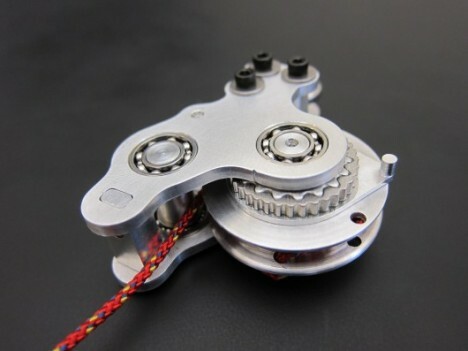 While still definitely a prototype, the production of these augmentations is already much less expensive than powered competitors, raising the question of what other enhancements could be created that utilize the body’s own energies more efficiently rather than requiring external electrical assistance. See more in Cybernetics or under Technology. April, 2015.